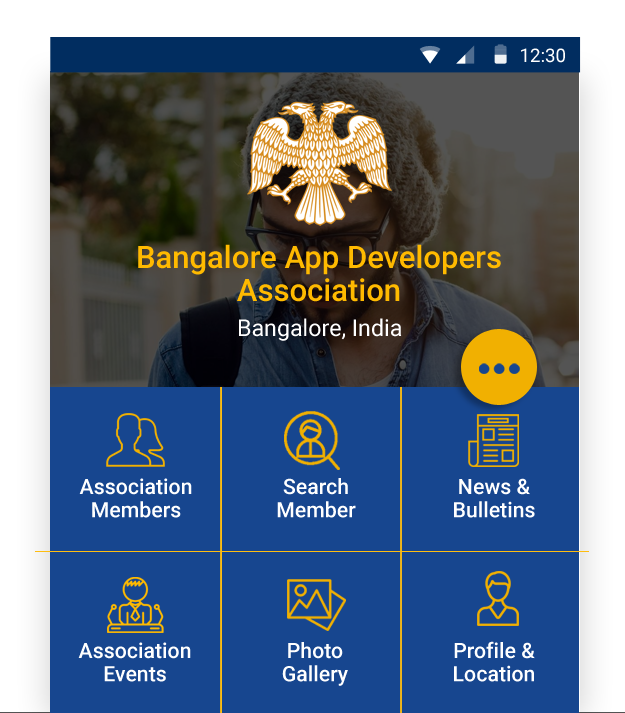 Why your association should have an app? Smartphones are the present and the future of technology - use the media that the members use and connect with them. 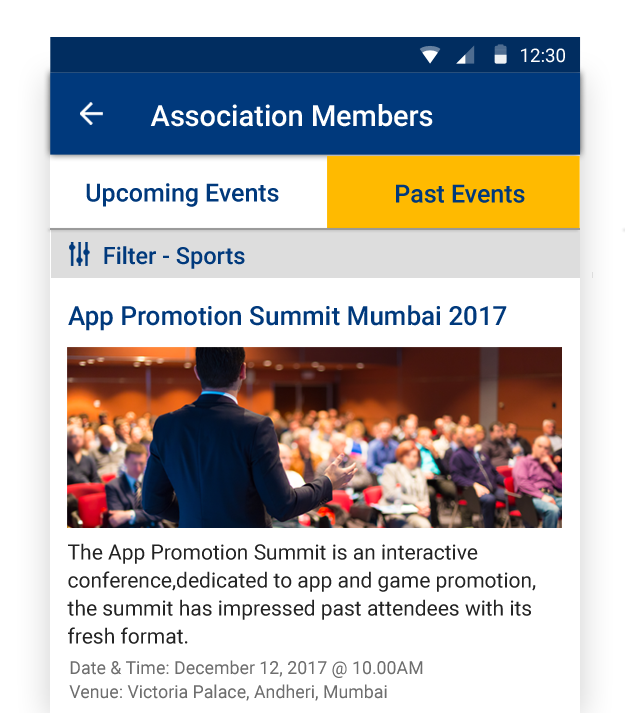 The app puts your association in front of your members - every time they open the 'list of apps' - In fact, as of 2017, mobile users spend 92% of their time using apps. Associations will benefit immensely. An app makes it easy for your audience to enjoy (and share) your content - unlike a news-paper / brochure or a web site. 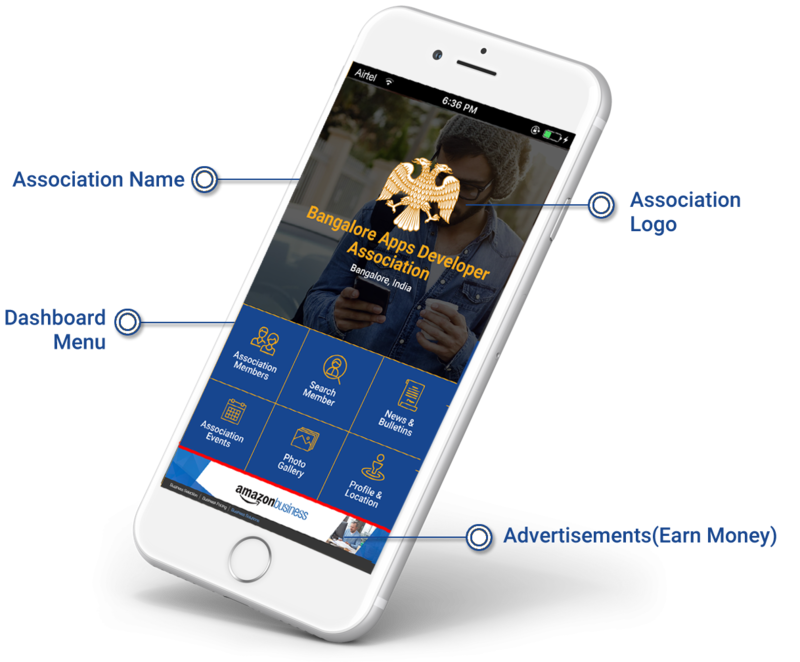 Apps get you closer to your audience - a website is global, an app is local (resides on their phone) - a key catalyst for member satisfaction. This is the app launch screen - also known as Dashboard or Landing Screen. Buttons to navigate / use the app. List of members of the association (in alphabetical order). You can call a member of interest or send an email - no need to search again in the phone contact list options are provided to jump to a particular alphabet (Jump to list members whose names start with chosen alphabet). This will avoid multiple screens and save time. This is the detailed profile of the member. Contact info, products / services and geo-location are also captured. Geo Location is useful to get information of members who are located in a particular area of the city. The member search utility is the most used option of the app. Ability to search for a member based on his product / service enables members to do business with 'a trusted member of the association' rather than with an outsider. This helps the members to get more business and their appreciation for the association will be very high. 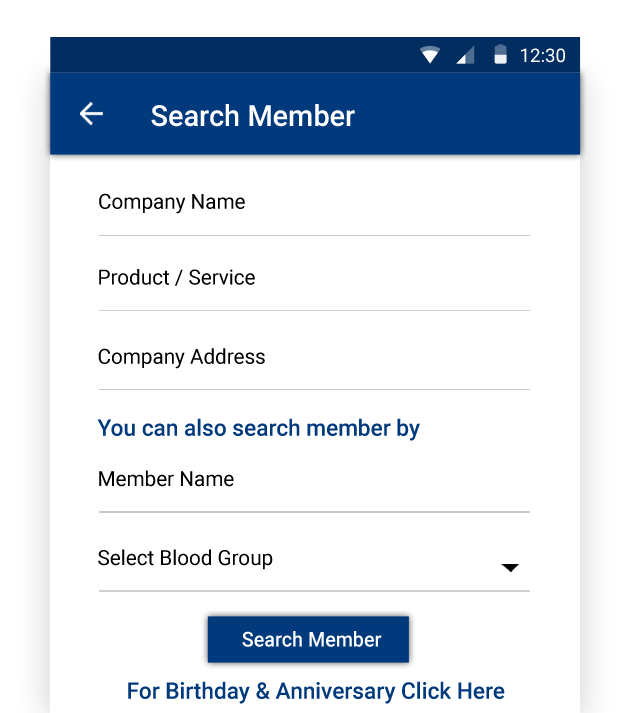 An option is provided to search for members of a particular blood group. This will be convenient in case of medical emergencies. Associations find it tough to reach out news and statutory updates pertaining to their sectors. 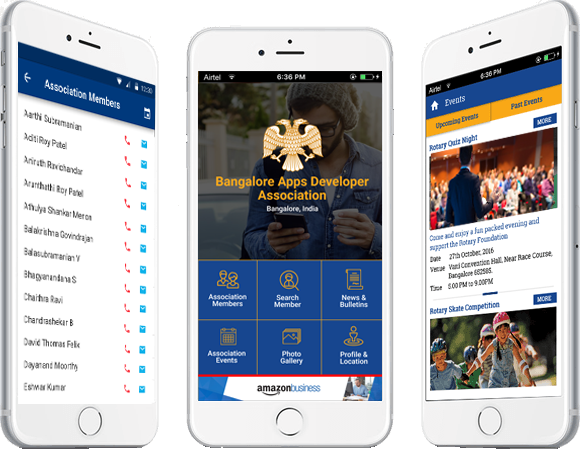 The app is the best and affordable way to reach out to the members. Members can also browse at their convenience and read at leisure. "A picture is worth a thousand words" the idiom aptly describes the usefulness of this module. Association can upload photos of events held / conducted by the association (and also link them to the event) and also any other photos that they would want the members to see. Association members cannot afford to miss out wishing their association members on their Birthdays & Anniversaries. 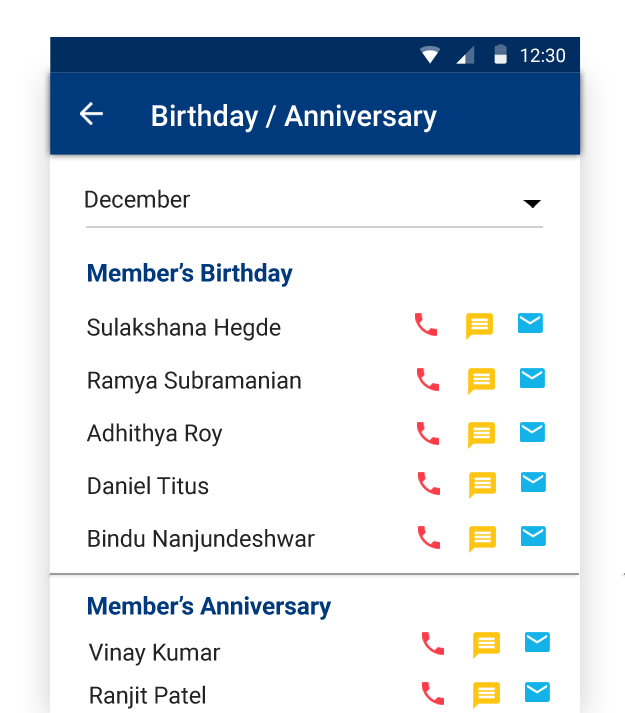 Our app for associations displays the list of Birthdays & Anniversaries in the month. 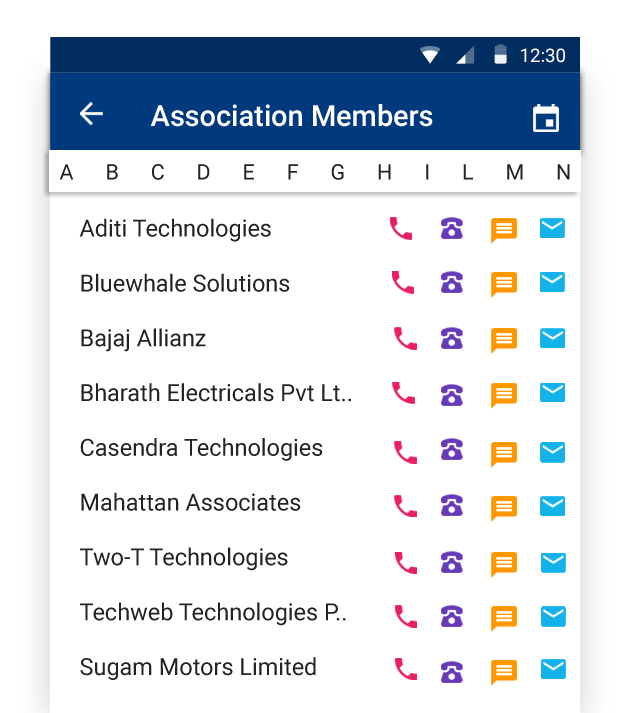 Now carry your association's digitized member list on your mobile device and view details of your members' with a few clicks. Never forget your fellow association's special days, with automated reminders for Birthdays and Anniversaries. 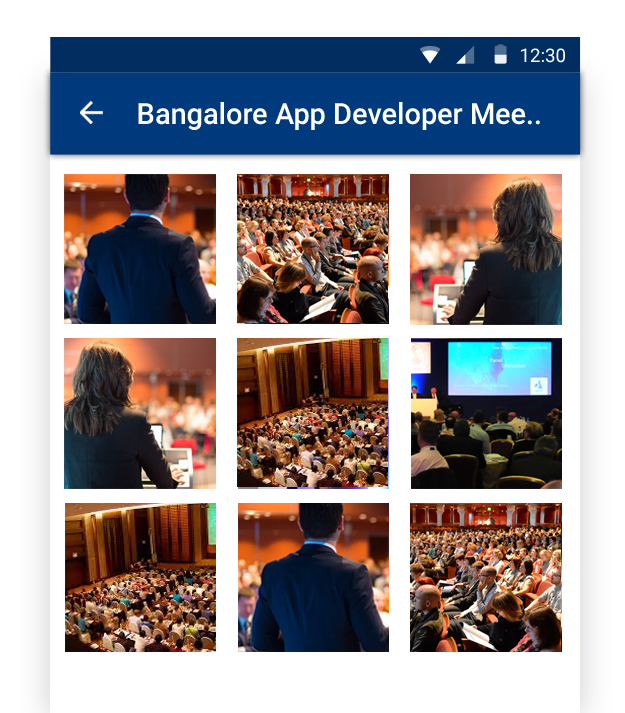 Notify Association Events and meetings on the app. Easy for Members to retrieve and have a look into past events as well. Photos of past events will motivate them to participate and appreciate your efforts in organizing the event. 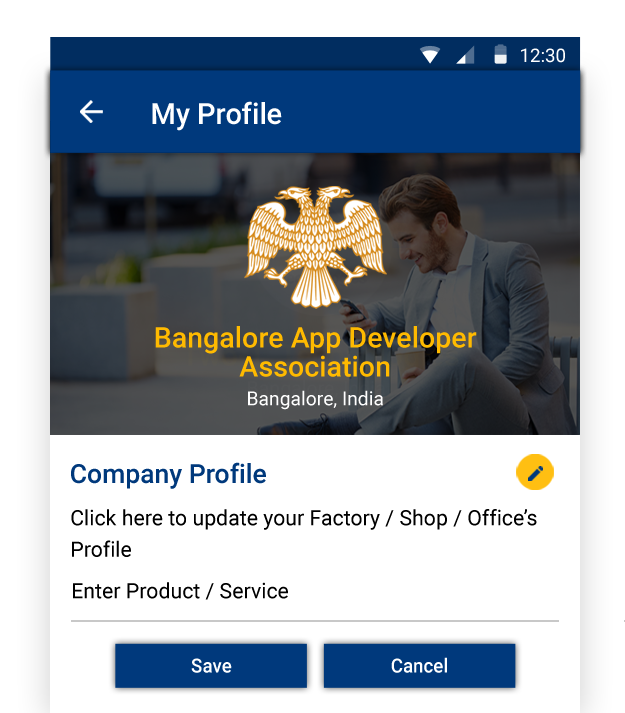 App is the best mechanism to view detailed profiles of members. Great cost saver when compared to distrubuting printed member rosters or even emailing soft copy of profiles. Never miss out on important News from your association. 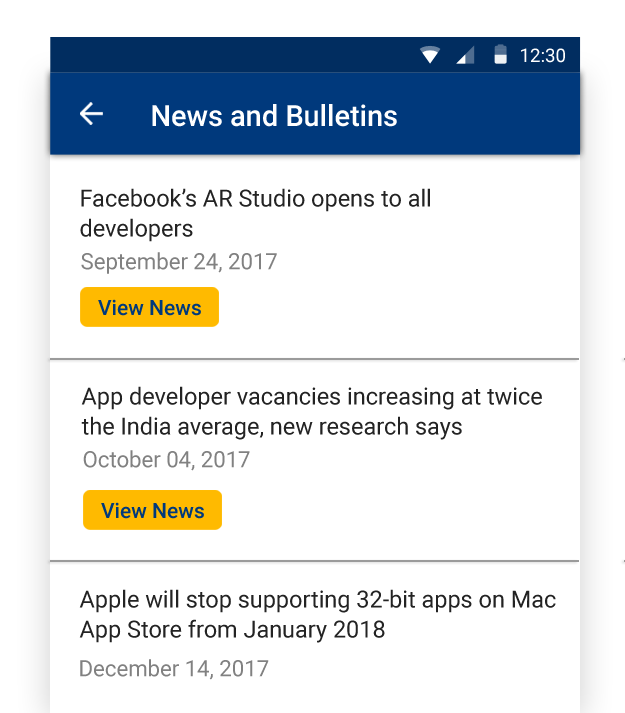 Now, sending and receiving important News is at the tip of your fingers. Finding a member near you with just a click. "Near Me" allows you to connect or meet the association member in person who are nearby. Recognize and celebrate the splendid initiative/ work/ project of your association, committees or members. Share achievements with fellow members.